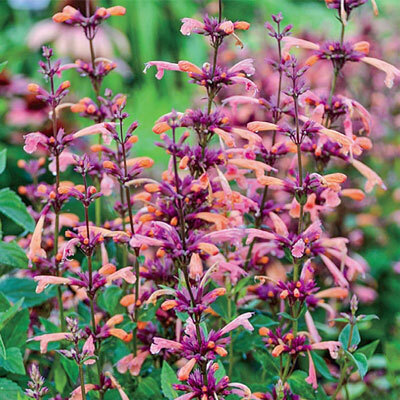 Tango Hummingbird Mint | Henry Field's Seed & Nursery Co. The perfect addition to a full-sun hummingbird, butterfly, container, bed or rock garden, Tango's leaves have the strong aroma of licorice and may be used fresh or dry to flavor tea. 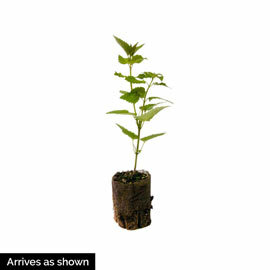 Grows 12-18 inches tall and is one of the best plants for attracting wildlife. Potted. Zones 5-10. Depth: Dig hole at least twice the diameter of the plant's pot and set at same level as the pot. Foliage: Ovate to lance shaped, grey-green leaves with a light mint scent. Flower Form: Flower spikes with long tubular blooms. Sweetly fragrant. Fiery-orange color. Soil Requirements: Well-drained fertile soil. Pruning: None, except to remove spent flower stems.